Here we continue with our trail cam reviews of the best models you can buy. This is an interesting one from XIKEZAN. 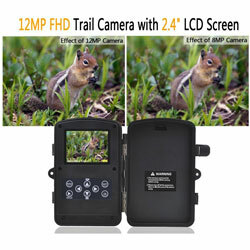 It has many features that you like to see on a trail and game camera and it sells at a fair price too. Read along with us as we take a closer look at the XIKEZAN Trail & Game Camera. This trail cam is like having a person in the woods with a regular camera 24/7. It’s always on duty ready to serve you. It features both high-resolution photos (12 MP) and high definition video taking capabilities (1084P). It’s a motion sensor activated game camera. The XIKEZAN Trail & Game Camera will take photos of any animals that trip its sensors directly in front of it or slightly to the side. It will scan a 120° wide arc in front of it no matter where you place it. This trail came has an effective range of about 60’ too. Once its sensors pick up movement it will quickly take a snapshot or shoot a small amount of video. 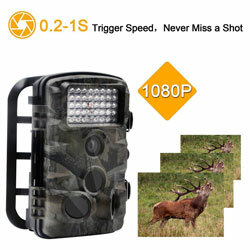 It has a trigger speed that works in less than a second after the motion is detected in front of this trail cam. 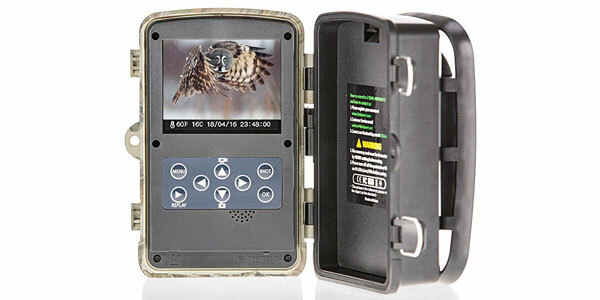 All the programming on this trail cam is done on its versatile 2.4” display screen. 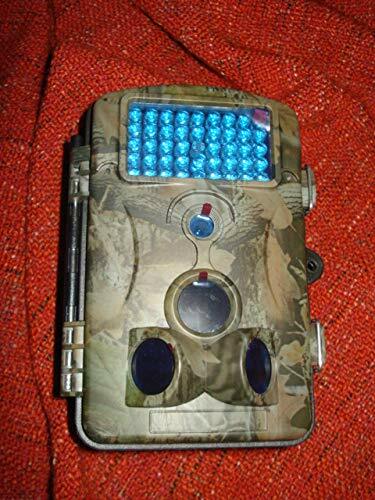 Its simple onscreen directions will have this trail camera set up and running in no time. You can even view your photos and videos right on the display screen too. You have two battery configurations you can use with it also. You can either use just 4 AA batteries which will keep its weight down or 8 AA batteries for extended stays in the field. It even has an internal 6V power port if you place it near electricity. 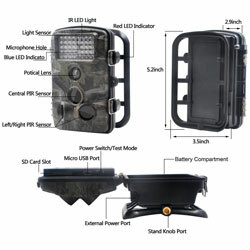 This trail cam is made of durable and lightweight plastic. It’s also made to handle the wet, cold and hot weather. 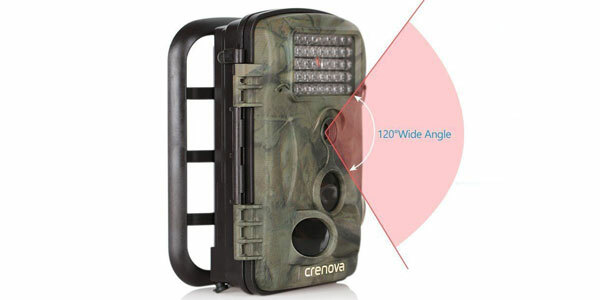 One of this trail cam’s top features is its wide-angle movement detection. Some trail cams only detect moving objects right in front of them but not this one. It will detect motion in a 120° wide angle in front of it. That will give you a better chance of seeing what you need to see about the animals in the area where the trail cam is placed. 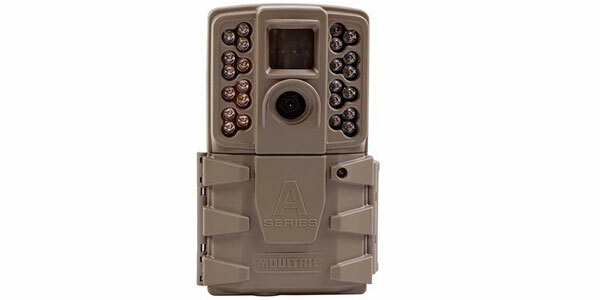 Another nice attribute of this game camera is its compact size and weight. It’s the smallest trail cam on our top review trail cam list at 5.2” x 3.5” x 2.9”. This camera weighs in at less than 1 pound too. That makes it easy to even carry several of them deep into the woods where you will set them up. The warranty on this trail cam is just average at 1-year of coverage from the date of purchase. One nice thing about it is that it does have a 30-day risk free guarantee. That gives you time to try it and return it if you don’t like it. The issues with this trail cam are fairly minor in nature. Several users have complained that the SD card can be hard to remove. This is more annoying than anything else. It has also been brought to our attention that the LED’s on the XIKEZAN Trail & Game Camera are brighter than on many other model trail cams. We all thought this was a very respectable trail cam model. Even its few weaknesses were by no means deal breakers. It has excellent video and photo resolution. That is complemented by its somewhat wide field of view and 50’ to 60’ effective range. 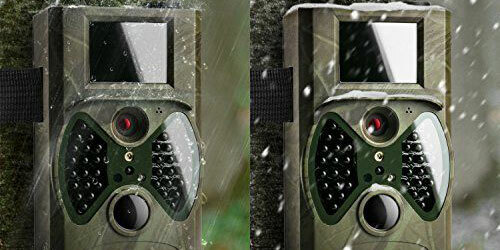 The XIKEZAN Trail & Game Camera is also easy to program and has a wide menu selection. 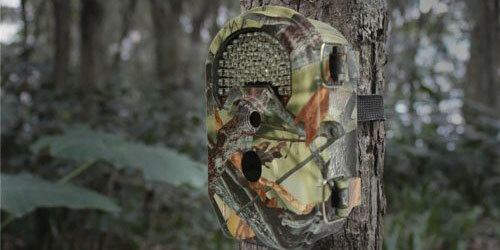 You can find many uses other than scouting for the game with this trail cam too. 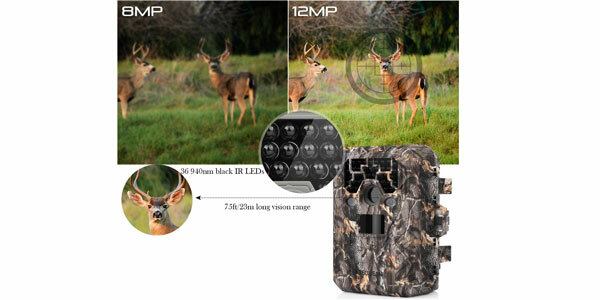 It definitely should be given strong consideration as you conduct you trail cam buying search.